Beach Lighting: 30-Inch Elsa Capiz Shell Flush Mount Light in Stock! 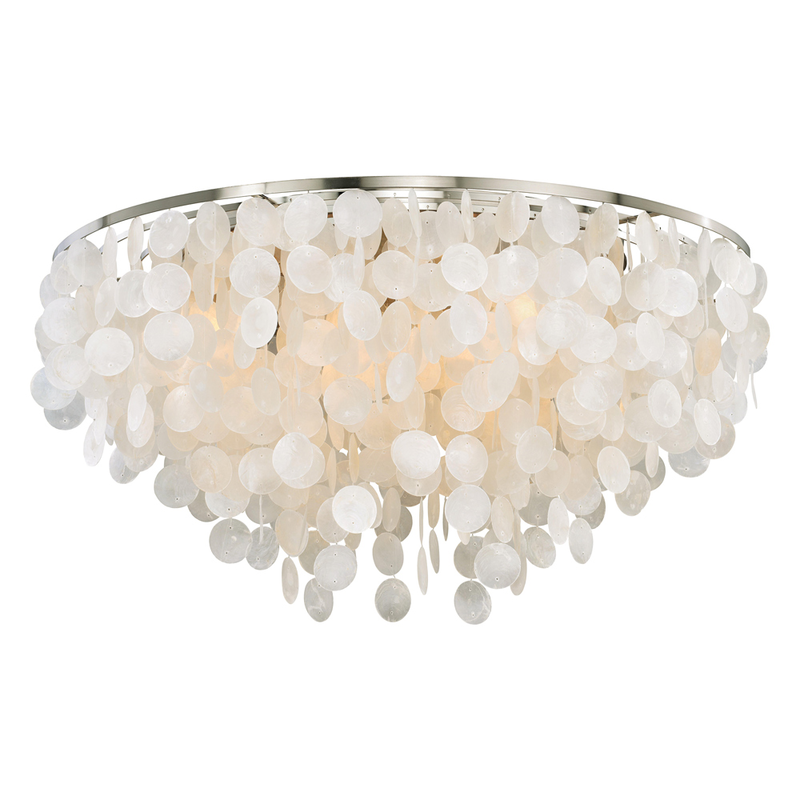 This 30-Inch Elsa Capiz Shell Flush Mount Light is a Bella Coastal Decor Exclusive! Dangling round capiz shells hang from these metal fixtures with a satin nickel finish. This beach lighting uses six E12 40-watt max bulbs. Measures 30"Dia. x 16"H. Ships from the manufacturer. Allow 1 week. Cannot express ship. For additional options, we invite you to take the occasion to view our thorough collection of beach lighting and coastal chandeliers at Bella Coastal Decor now.